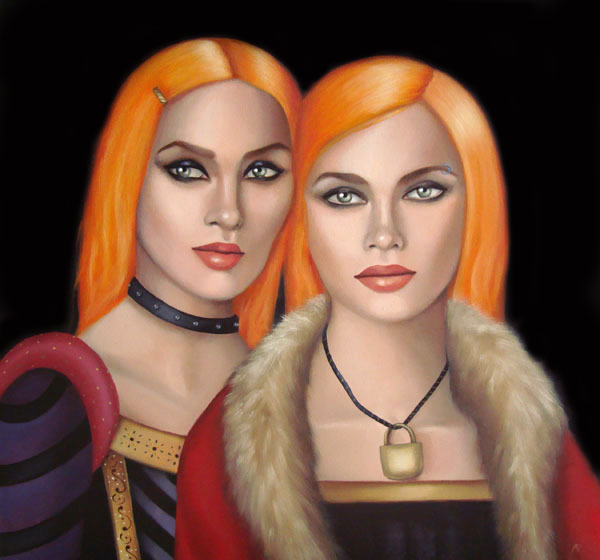 (1550 – 1600) The daughters of a diplomat and a one-time opera singer, the girls known as Merri and Kerri spent their youth traveling from one school to another while their father was assigned to posts all over the Continent. Each made what was considered a good match in the marriage market thanks to their beauty and reputation as minor celebrities, but neither lasted long. A Lord Deputy, whose dissipate lifestyle would drive Merri into the arms of his brother, and a Lieutenant Colonel who was killed in action during the Kronin Wars. With money from their father, the sisters purchased a townhouse and began a small perfume business that did quite well. Their bodies were later discovered in the attic; the door locked from the inside, one sister emaciated while the other appeared extremely obese, and each having a wound to the head. Their bizarre deaths remains a mystery.